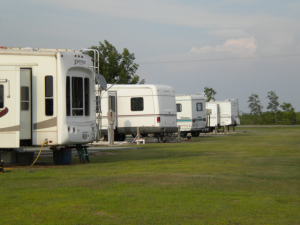 The Big Lake RV Park is located just one mile from some of the best fishing in Southwest Louisiana, the beautiful Calcasieu Lake. Also in close proximity you will find shopping, dinning, casinos and much more. Big Lake RV is in the heart of “Sportsman’s Paradise.” There is a Salt water pond on location for excellent, convenient fishing. Whether you want to fish on the lake, relax at the BBQ pit, go shopping, enjoy fine dinning, or gamble the night away, we have it all right here at Big Lake RV Park.